Feasel Isn’t As Big Of A Weasel Anymore! I usually do pet battles during the afternoon. But today I forgot so I headed over to the Darkmoon Faire after tonight’s raid. I even swapped in my Crimson Geode to give some more of my elementals some play time. Jeremy went down like a sack of bricks. 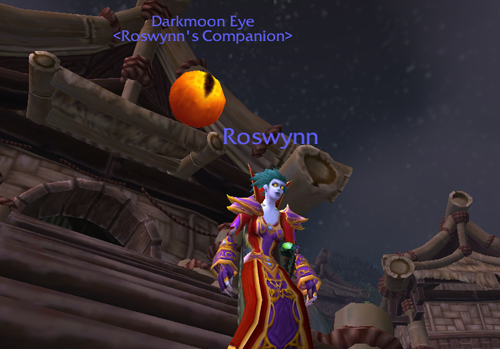 And Lo and Behold tonight my bag held the Darkmoon Eye. FINALLY!!! Unfortunately the Darkmoon Rabbit wasn’t up.